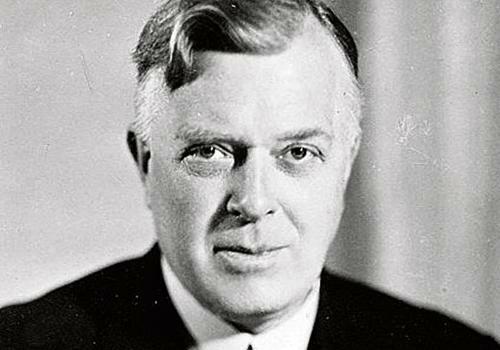 NOBODY knew what Frank Pick was thinking when he scrawled eight words across his notepaper as he waited to deliver a speech as London Underground’s first chief executive: Beauty, Immortality, Utility, Perfection, Goodness, Righteous­ness, Truth and Wisdom. But passengers using Piccadilly Circus will soon be asked to speculate over what lay behind his doodled notes when the words are incorporated into a permanent new memorial to him to be installed on the wall of the station. Designs approved by Westminster City Council planners on Thursday reveal Mr Pick’s words will be boldly displayed next to a roundel – the tube’s famous red circle intercepted by a blue bar – bearing his name. The artwork will replace a run of telephone booths no longer used in the arcade-style circular station, once considered Mr Pick’s “pièce de résistance”. 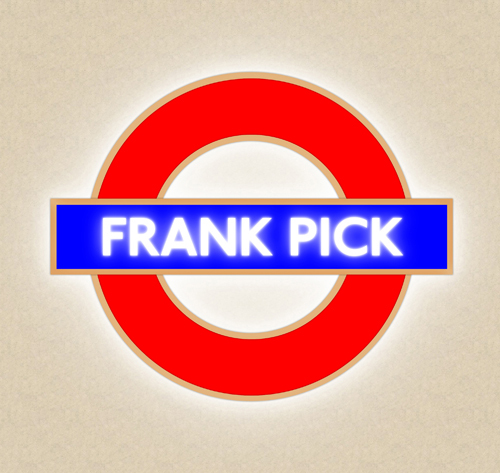 Mr Pick is a hero among design and transport buffs and considered one of the key innovators in the growth of London’s transport network. He died in 1941, but his legacy lives on across the tube system, not least in the distinctive Johnston typeface he commissioned for branding in stations, maps and trains. Eye-catching posters, many of which now decorate the London Transport Museum in Covent Garden, were commis­sioned by Mr Pick. The new memorial was chosen by Transport for London (TfL) after a competition which attracted several leading artists was won by Ben Langlands and Nikki Bell, the former Turner Prize nominees. It is part of a wider art programme called “Tran­sported By Design”, aimed at illustrating the importance of the tube in the capital city’s develop­ment, which will also be included in an exhibition celebrating 100 years of the Johnston font and a design festival in Regent’s Street next summer. The Pick lecture notes memorial at Piccadilly Circus is due to be finished by next autumn. Sam Mullins, director at London Transport Museum, which includes an archive of Mr Pick’s work, said the use of his notes left on his speech papers were chosen to be deliberately mysterious. He said: “London Transport Museum chose BAFTA-winning and Turner Prize-nominated Langlands & Bell’s design for Piccadilly Circus tube station because it brought together the two most recognisable components of the London Transport design identity commis­sioned by Pick – Edward Johnston’s typeface and the bullseye or roundel – the circular logo of the London Underground that is recognised the world over.